William Jackson, better known as Bumble B.H.E., was a socially active artist from the savage streets of Dallas, TX. 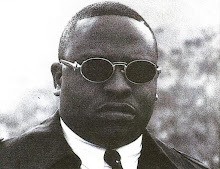 He is often remembered for his controversial lyrics and equally provocative civil views which were the main cause of distress upon the media, politicians and even the African American community in the early nineties. Bumble B.H.E. first started off with the famed group, Nemesis but would soon leave them over creative differences. The differences being about the overall sound and the message the group as a whole was portraying. Pain is his debut solo album and it was released in 1992 on 380 Recordings while also being distributed through the larger and well established, Ichiban Records. The production in its' entirety is handled by the talented group of producers known as, The Bump Godz. 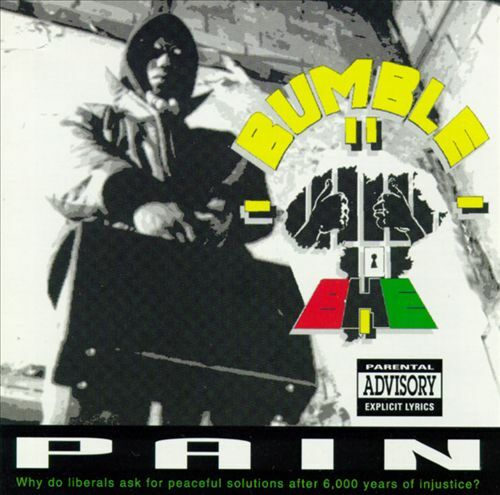 The Bump Godz consists of Brother Black, DJ Zero, I.C.E., Suave-X and Bumble B.H.E., himself. Although the rhythms are all electronically derived and most are sample ridden, there are tracks where the producers incorporate live instruments such as horns and various types of guitars. The beats are of a simple nature and are generally presented in an uptempo fashion. This set up remains constant throughout the album and really does set the tone for the entire project. Lyrically, the artist is pretty blunt upon the microphone. Both his tone and persona come off as quite aggressive and he seems to get his point across with ease. His rhymes follow no dictated pattern which results in a very candid and honest approach. Guest appearances are made by Mad Wisdom and Gretta Epps. The record closes out with a total of thirteen tracks with each one being more ruthless than the next. The core content is of a harsh yet truthful nature as one can sense from the album's title and the intrusive caption printed on the cover. Overall the album does carry its' own charm but it can also get a bit redundant at times with its' brutal content. Nonetheless, the message it conveys is of an imperative nature especially when considering the turmoils and unrest which still plagues the African American communities to this very day. 2 Real - Any Last Words?